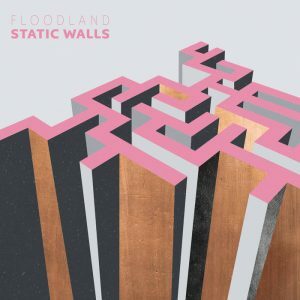 September 1, 2017 saw the release of Halifax four piece Floodland‘s highly anticipated full length album, Static Walls, the lush follow-up to 2015’s It’s The Fire. From the very beginning Static Walls pulls you in while giving you a little scissor kick to the gut. Throughout the whole record you get some punchy bass lines, bursts of guitar solos, and a whole lot of punky undertones; making Static Walls a great mix of airy “indie” ballads and energetic rock n’ roll. The new addition of Victoria Cameron on bass (also of CAMERON, The Town Heroes, and Hello Delaware) treats us to sublime harmonies, different from what we’ve heard from Floodland before. Most notably on Sonder, Cameron’s dreamy backing vocals makes it perhaps my favourite song on the whole album. Tangled comes with a music video and riffs that might excite you enough to accidentally kick someone while dancing. Decades shows off an epic guitar dual where everyone is a winner, Sun In Her Eyes show of Floodland‘s well crafted gang vocal ability, and songs like Scarce have Beatle-esque keys, showing that they wear their influences on their sleeve. Fiona, the closing song on the record, has a simple but catchy melody that will keep it in your mind all day long, like reminiscing a lazy summer afternoon. Static Walls is available to purchase here, and Floodland will be playing Grimross Brewing September 23, 2017 with Hello Delaware, hosted by Roots & Soul Music Promotions.